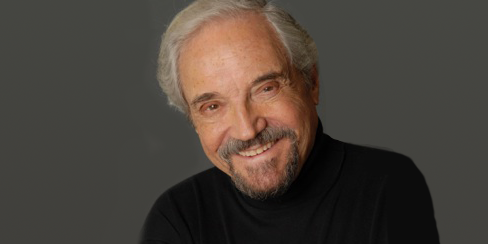 Growing up, Emmy award-winning actor and performer Hal Linden watched his father Charles Lipshitz, a founding member of the Zionist group Bnai Zion, dedicate himself to the establishment of the State of Israel. "I remember specifically in 1948 when they declared Israel a state," Hal said. "I saw my father's dream of 50 years coming true." Linden has been JNF's National Spokesperson for 16 years and a supporter of Israel for nearly seven decades. As a young child though, he didn't always understand the need for a Jewish state. He remembers having discussions with his father; as a proud American, Hal didn't understand why there was talk about the need for another country. That all changed with the rise of Nazism and the march to World War II. "The world showed me the need for Israel when we heard what was going on and saw the Holocaust developing," he said. "I remember as a teenager reading headlines that the British stopped the ships from reaching Israel's shores. My father didn't have to convince me. Our people needed a place to go. They needed a homeland. Since that point, I've been a supporter of Israel." Linden has been involved with JNF since he was asked to become the organization's national spokesperson in the 1990s. "For me, it's cultural, it's social," he said. "It doesn't matter how you practice your Judaism or if you practice at all. The fact is that you're part of a people." In this role he has travelled the country speaking at many events, taken trips to Israel with JNF and has worked with JNF's Planned Giving department in making a Charitable Gift Annuity that helps secure his financial future. "I think a Charitable Gift Annuity is a terrific idea," Linden said. "It makes so much sense. To be able to make a bequest while you're still around and know your money is doing good while you can still watch it. They make it so easy for you. Rather than sit in the bank, a Charitable Gift Annuity helps me plan my retirement and my financial future. It's an excellent program." Linden fondly and proudly recalls his grandson's decision to become bar mitzvahed following a family trip to Israel celebrating his and his late wife Fran's 50th wedding anniversary. "Fran wanted my grandkids to know what my passion was," he said. "We visited the Holocaust museum. We got to a point in the exhibition when it explained how the Nazis decided who was Jewish; one of the determinations was that if you had brown eyes, you had to prove you weren't Jewish. My 10-year-old grandson said, 'I have brown eyes. Would they have taken me?' When he returned home to America, he decided he wanted to have a bar mitzvah. "Here was a boy saying to the world, 'I am part of this community. I have Jewish rights and responsibilities, and I choose to be part of this community.' It all happened because of what he saw in Israel." Linden will be traveling with JNF later this year on the Sunshine Mission, a trip for active adults 55+, with an itinerary that makes it physically capable for seniors to enjoy Israel. It's Linden's second time helping lead the trip, and he sees it as an excellent opportunity for seniors to enjoy Israel at an easier pace than most organized trips to Israel. "My role," he said, "is to expose the people on the trip to the JNF vision. Whether it is by sharing my memories of a site or sharing my reaction to a new place, I open the participant's eyes to the extraordinary work of JNF. It's always inspiring. "There has to be an Israel," he continued. "It has to be in existence for Jews around the world. That was my concept to begin with, which is why I become involved with JNF. On our family trip, we took my children and grandchildren to a reservoir dedicated in memory of my parents and we all had a good cry. There's history, emotion, family… this is what Israel is. I'm looking forward to going back." The next Sunshine Mission will take place from March 31, 2019 to April 9, 2019, for more information, contact Judy Feig at jfeig@jnf.org or 800.562.7526. 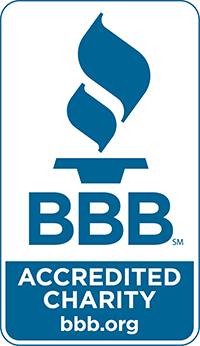 Click here to learn more about the Sunshine Mission.